Looking for an unusual texture pattern for your metal? Find a rough patch of concrete and hammer away. The bumps of the pebbles will give you a unique pattern that you can recreate in only a few minutes. Since you have to see them and work with them day after day, you should have a good relationship with your coworkers. Whether you help them celebrate their birthdays or support them through difficult times in their personal lives, it’s important that you let your coworkers know that you respect and care for them. One way to let them know is by creating specialized jewelry for them. You can design gifts that are specifically suited to their tastes, which will make your present even more special. Women love jewelry, and they will appreciate the time that you take to make something special for them. In order to make pieces that suit each coworker, keep an eye on what types of pieces that they usually wear. Do they go for bold and colorful pieces, or do they opt for something more delicate and dainty? What length of earrings and necklaces do they wear? What are their color preferences? You can use your observations to help you create jewelry that is sure to be a hit for each recipient. 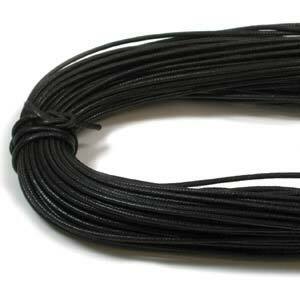 Rather than using metal or nylon as stringing material, try using cotton or casual leather. You’ll be able to work quickly and with very few materials. Add pretty beads, and either make or purchase a pendant to use as the focal point. If you have coworkers who don’t wear much jewelry, you can still give them something handmade. Design special beaded ornaments that will bring you to mind each time your coworker looks at it. Choose colors and finishes that match your coworker’s personality, and design it based on their interests. For example, if she has decorated her office in rustic décor, then give her a beaded star in natural colors. You can also make personalized bookmarks that will encourage your coworker to curl up with a good book. Add charms or beads that seem to fit his personality or interests. You can even include a journal or paperback book that you think she will enjoy. 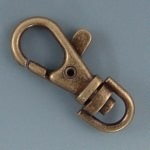 Since nearly everyone now carries some type of bag or briefcase, make a bag clip as a gift. Add charms, beads or dangles to the clip to make it stand out. These are just a few of the ideas of gifts that you can make for your coworkers. By making observations about their preferences and using your imagination, you can create pieces that your coworkers will appreciate and enjoy.